Main shut off valve for the service line(shuts off gas flow). Shows the percentage of fuel in your tank, but NOT a gallon gauge. This device continuously regulates downstream pressure. Connects the service valve and the regulator. Valve through which the tank is filled. Protects the container from excessive pressure. 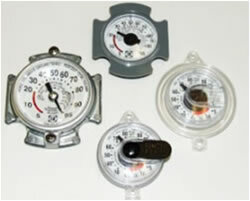 Gauge used by driver to tell if the tank is properly filled. Most tank gauges read in percent. 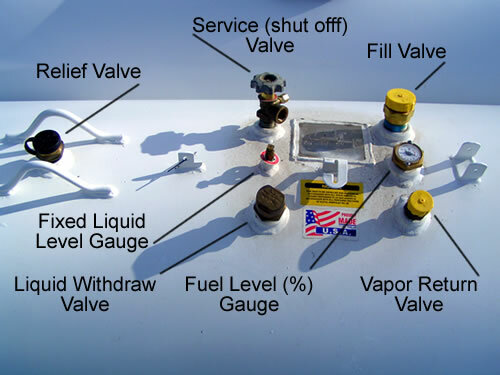 To convert the percent of propane in your tank to the gallons of propane in your tank refer to the chart below.